Angela Jarman, Cobult Geode. Photo: Sylvain Deleu. 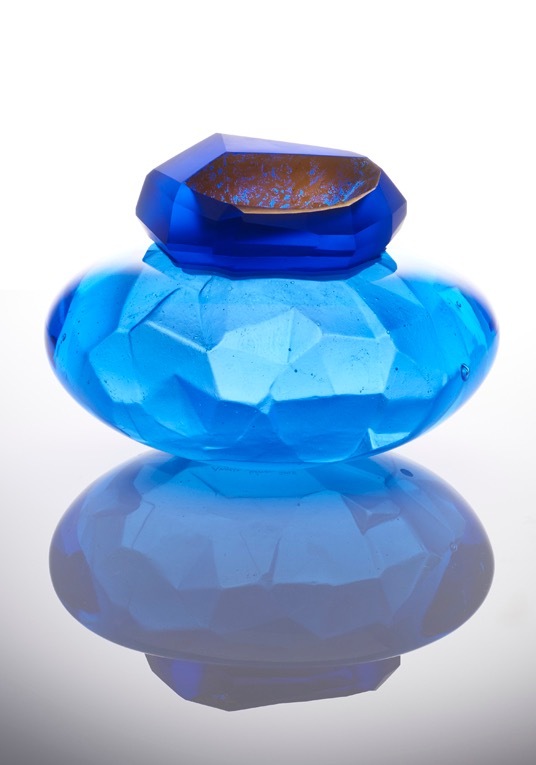 Angela Jarman is a graduate in Glass from the RCA and winner of numerous awards. Her work is held in major collections throughout the UK and Europe. Whilst at the RCA, Jarman became aware of the link between developments in science and how it was being applied to nature in genetic modification Her work emphasises form, texture and structure. Although renowned for using clear and black glass, recently Angela has successfully introduced colour.